Its finish is painted,it is black. Height of the chandelier is 25.98 inch,diameter is 35.43 inch. 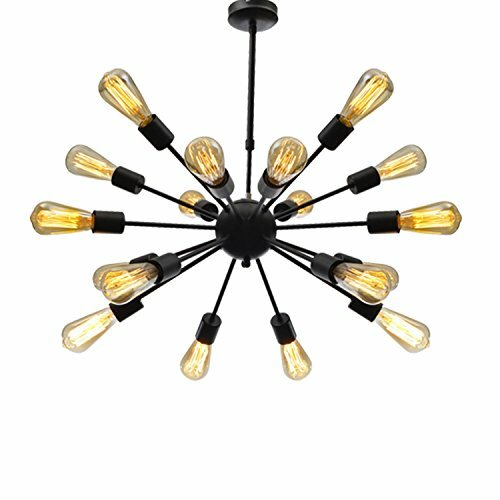 There are 18 E26 bulb sockets in total, the maximum compatible wattage bulb is 40W (bulb not included),so the largest total power of this chandelier is 18x40W = 720W. You can use incandescent bulb,CFLs and LED bulbs,but it is recommended that you use less than 5W CFLs or LED bulbs,which can save energy,and life is long. 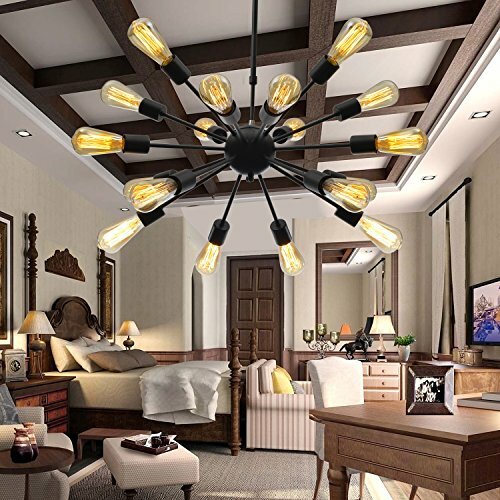 This chandelier is suitable for the dining room,kitchen,living room,barn,porch use,but this is just a suggestion, you can according to your actual needs to choose where is installed in. We use EMS,UPS,EUB, DHL express service, after we deliver goods, usually shipping time is 7-15 days. Style:Retro,Antique,Industrial,Cottage,Large.Hardwired. 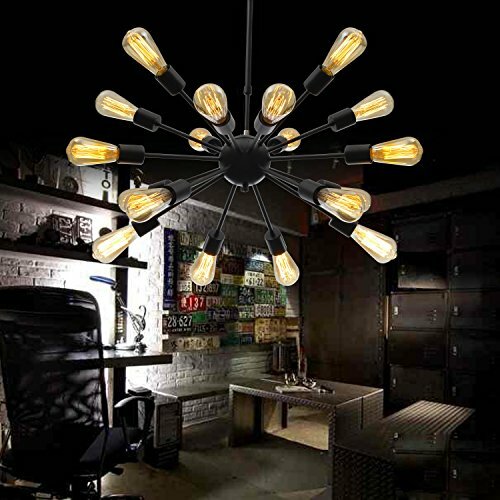 Voltage:120V for North America,Power: max 40W x 18(bulbs not included,we also have bubls sell,please search"unitary incandescent bulbs") Product Dimensions:25.98x35.43x35.43inch.The length of vertical hanging beam is 18.5inch,it can adjustable according to your request.Suggested Space Size:50-100Sq.m.It's the perfect light fixture to install in dining room,kitchen,hallway,foyers and more. If you want to have more lightings to choose,please click our brand name "Unitary " which is under the title .And we also have other more lights.Welcome to pick and buy,thank you!